Please join us at the farm for our 2nd Annual Winter Faire & Holiday Market! Once again, we’ll have a crackling fire in the chiminea and lights strung about, hot soup and hot beverages. 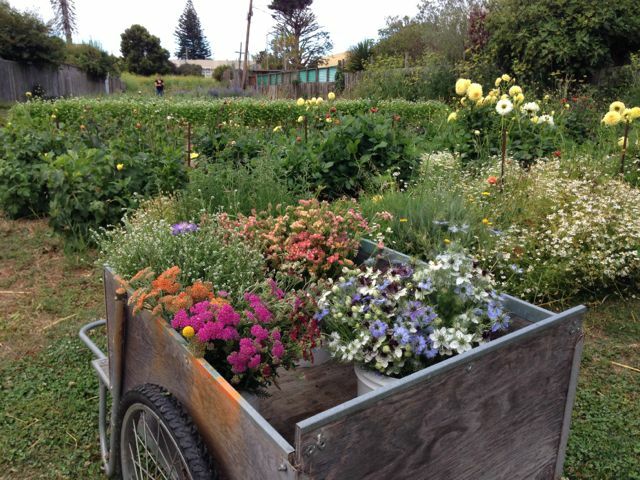 There will be scheduled farm tours and herb walks, kids’ activities, a puppet show, and music. The paths will be mowed and tidy, and we’ll put our very last flowers in vases for you. You can peruse tables filled with top notch Bay Area goods, perfect for all your holiday gift giving, and then sit on blankets by the fire in the low December light, enjoying some music and hot refreshments. It’s been another long, focused season at the farm, and we are very excited to open up the gate, sip some hot tea with you, and mark the end of 2015. The faire will be a one stop shop for really incredible gifts! We’ll have Little City goods — more tote bags (back by popular demand! ), a fresh made batch of herbal remedies, seeds we’ve saved this year, and some farm drawings and dried flower artwork made by some of our nearest and dearest farm regulars. There will also be an impressive array of herbal medicine makers, beekeepers, jewelers, woodworkers, ceramicists, knitters, painters, florists, and cheesemakers offering their wares! Want to roam the farm and check out the crops? Curious about what we do, our history, and what we have in store for the coming season? Join Caitlyn for a brief 20 minute farm tour, with Q & A! 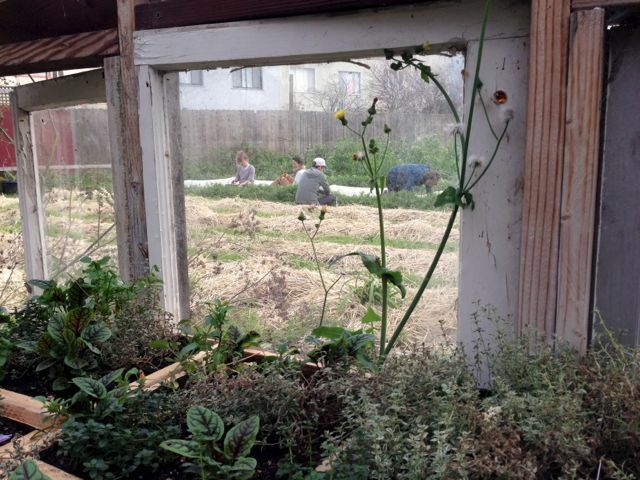 Bonnie Weaver, an herbalist and long time Little City Gardens volunteer, will lead a short walk through the farm, identifying common medicinal weeds and highlighting their benefits and uses. This is also a great chance to learn about the plants that have gone into our Little City Gardens herbal salve, hand cream, and herbal mist — available once again at the faire. Preschool and Kindergarden teachers from Golden Bridges School will present a hand puppet show! Get your portrait painted by Joe Ferriso! Enter for your chance to win dinner for two (or equivalent) to one of the fine restaurants we work with — Outerlands, Californios, Kronnerburger or Tartine Bakery! Winning names will be drawn at the end of the day. Please join us for a fantastic time on one of the most beautiful acres in the city! We’d love to see you! We’re now accepting preorders for Thanksgiving boxes! 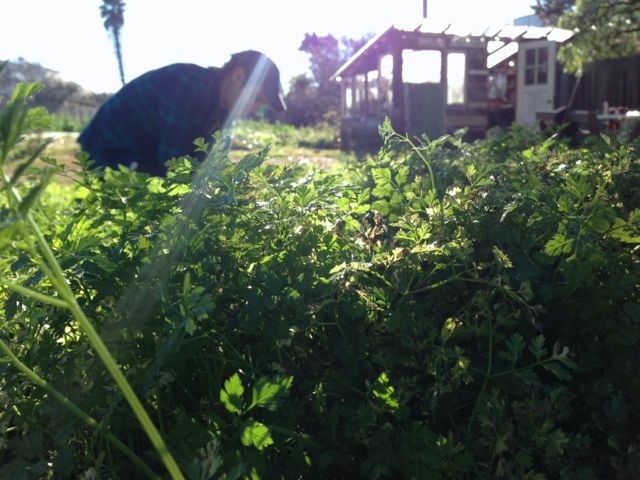 Boxes will include our lovingly crafted salad mix*, along with a selection of other veggies and herbs from the farm. We’ve been working hard these past few months to diligently plan out, seed, weed, cover, and tend to these crops in perfect time for your holiday feasts. * If you’re new to the Little City Gardens salad mix, here’s what to expect: a diverse, wildcrafted blend including a dozen different varieties of tender greens, herbs, and edible flowers. It is a unique, lovingly crafted mix that is as flavorful as it is beautiful. Just dress it lightly with olive oil and salt and you have an impressive ready-made side dish to feed your family and friends. It’s long been our most popular item, and sells out quickly! Below is what we have available for Thanksgiving, by pre-order only. Availability is limited, and first come first serve, so please do get your orders in as soon as possible! We’ll confirm your order and provide additional pickup details by email. Please email orders in no later than Sunday 11/22 at 9pm — littlecitygardens@gmail.com, subject THANKSGIVING ORDER. 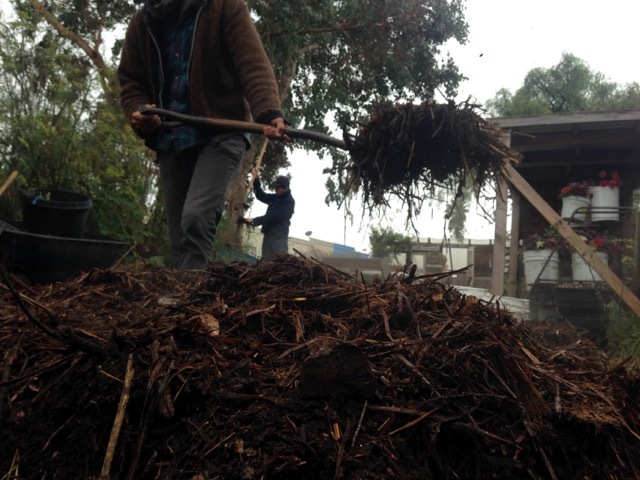 Pickup is Wednesday 11/25, 4-5:30pm — at the farm (203 Cotter St). Thank you for your support, and for putting our city-grown veggies on your holiday tables! We’re still in the thick of the season over here, filling weekly orders of vegetables, herbs and cut flowers for restaurants and wholesale accounts. The flower season has lasted much longer than I anticipated, which is satisfying and helpful. Usually our predictions are more ambitious than actual yields, not the other way around! 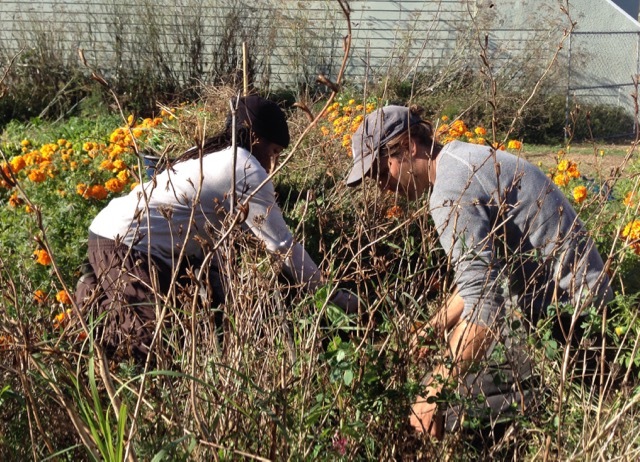 We’re saving seeds, tending to our young fall crops, planning for winter, getting ready for Fall CSA orders, and getting beds turned and cover crop sown. Please stay tuned for more info about ordering salad mix for Thanksgiving, our second annual Winter Faire at the farm (Sat December 12th, mark your calendars, it’s going to be a good one!! 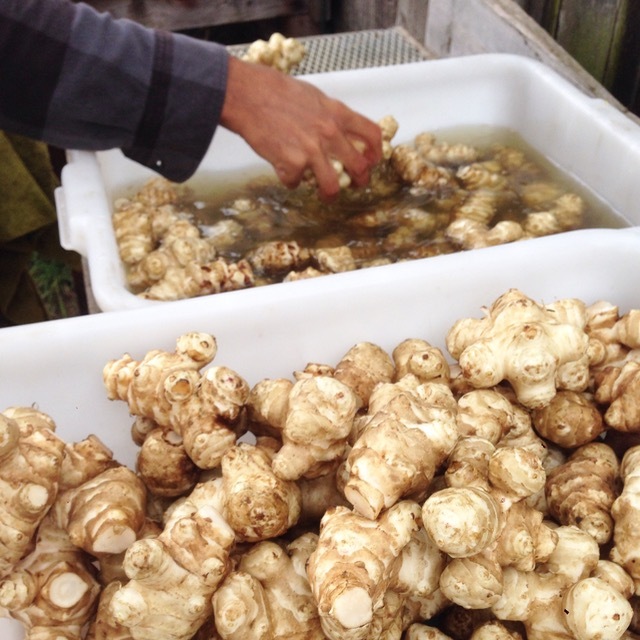 ), Little City herbal products, and reflections on our sixth season. (And, in the meantime, head over to instagram!). 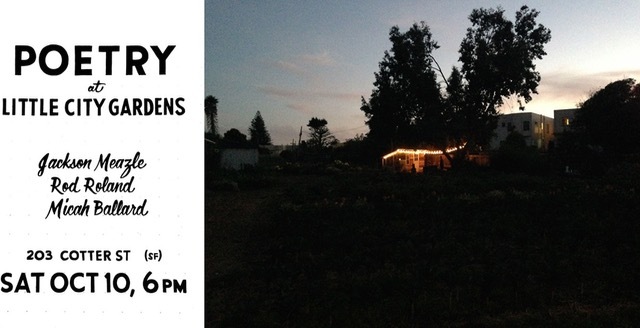 Please join us at the farm for an outdoor poetry reading at dusk. 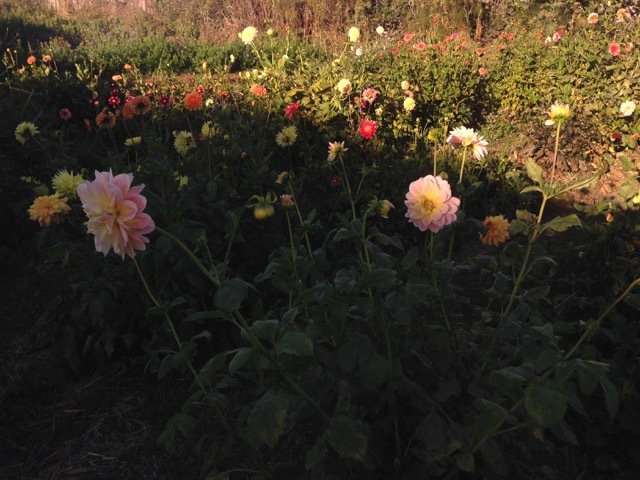 The dahlias will still be blooming their last blooms, the air will smell like fennel, and the fireplace will be ablaze. Bring a blanket to sit on and a mug to drink out of. 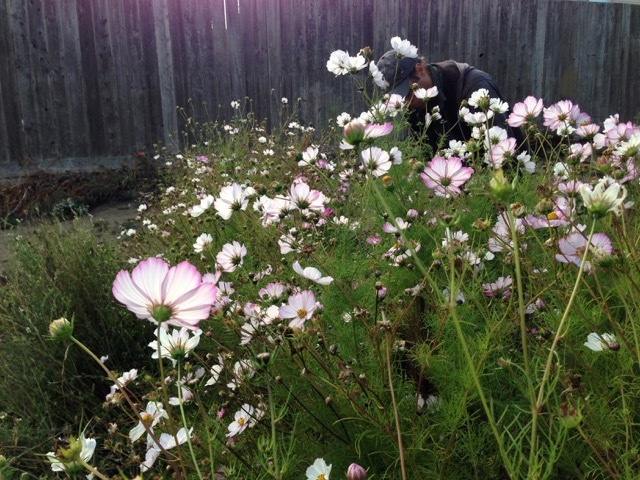 Little City Gardens is looking for a summer flower intern! For the past two seasons, we’ve been increasing our flower production here at the farm, especially in the summer months. 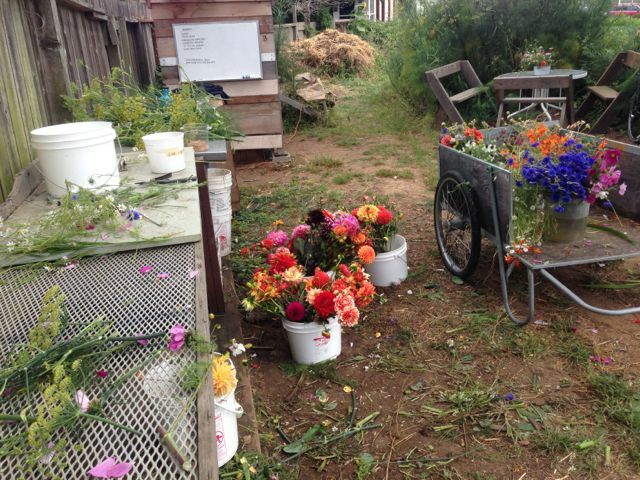 Cut flowers contribute to the farm’s financial stability and feel like an important addition to the conversation about how urban farming can fit into a local marketplace. Plus, after years of growing primarily greens, herbs, and cool season veggies (which we still grow), we take total delight in watching the farm explode in colors and textures! The dahlia’s fiery colors warm up San Francisco’s foggy gray days. 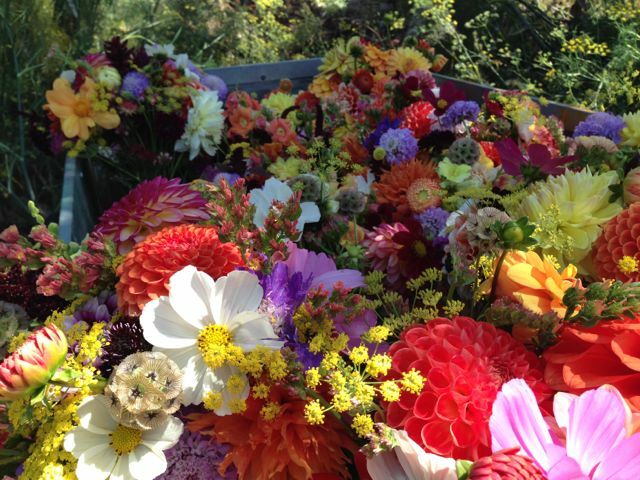 This 2015 season, our flower production is increasing significantly. 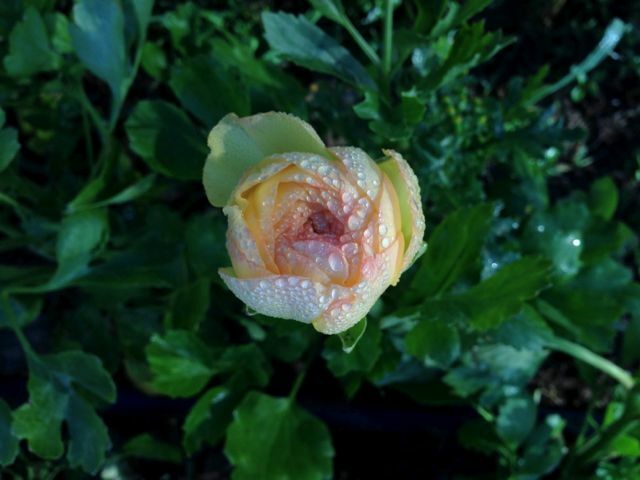 We’ve spent the spring seeding, transplanting and tending to thousands of young plants, and as we watch them grow closer to bloom time, we are gearing up for a very busy summer of flower harvesting and bouquet making. We’d love some help in this experiment, and we’d love to share with you some of what we’ve learned so far! Do you have some free time this summer? 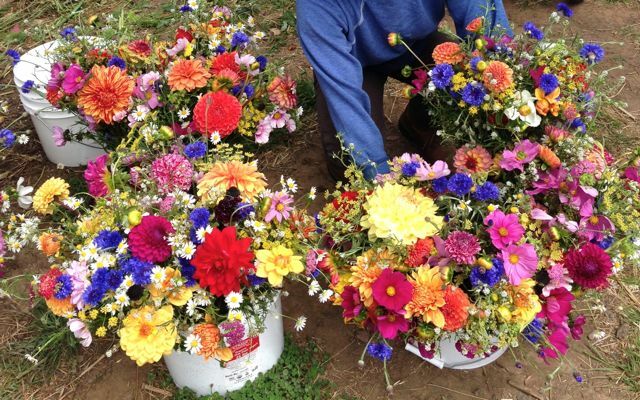 Do you want to learn more about small-scale farming, flower growing, and bouquet making? Want to spend time on one of the most beautiful acres in the city? Please send an email to littlecitygardens at gmail (subject FLOWER INTERNSHIP) responding briefly to the following questions. Deadline for applications is Monday June 29th. Applicants will ideally be available for 2-3 hours on Weds July 1st or Weds July 8th for a working introduction / interview on the farm. Are you available on Wednesday mornings July – Sept? If not, what days are you most available? (Please also mention any out of town plans). salad & flowers this week! 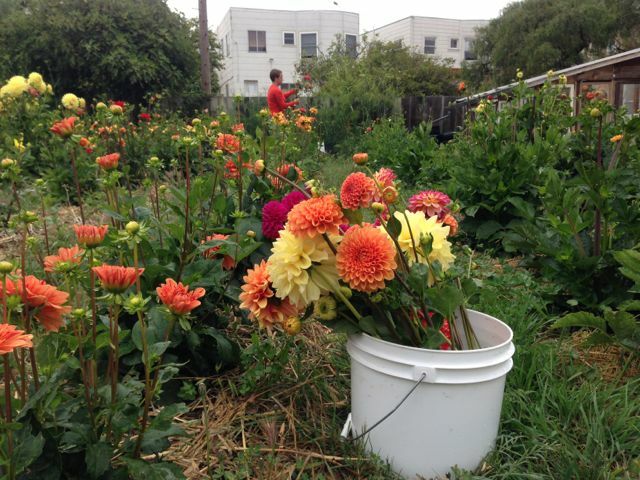 Hello everyone — we have a few shares of salad & flowers left for pickup this Friday! Please see below for a description of this week’s box (and how to order), and further below for a description of our weekly CSA plans for the spring season. GET YOUR SALAD & VEGGIES FOR THIS WEEKEND! Do you need flowers to dress up your brunch table this weekend? 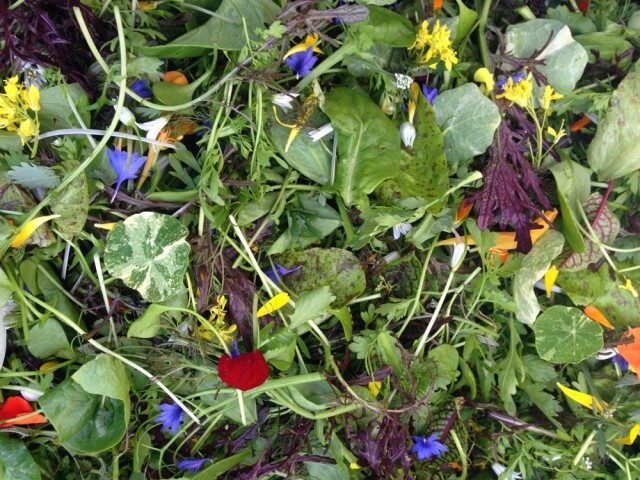 Or want to treat yourself to the tastiest salad mix around? 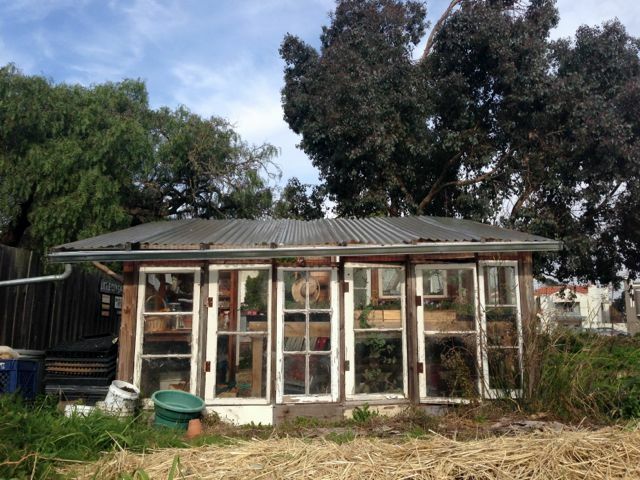 Or feel compelled to support one of your favorite urban farms? Get your orders in! We look forward to feeding you! Pickup this week will be FRIDAY 4/3 from 4-5:30 at the farm (203 Cotter St). To order, just send a quick email to littlecitygardens@gmail.com (subject: SALAD & FLOWERS) specifying how many boxes you’d like (and how many extras). We’ll send an email back to confirm your order. Please order by the end of the day Thursday 4/2. Orders will be filled first come first served. 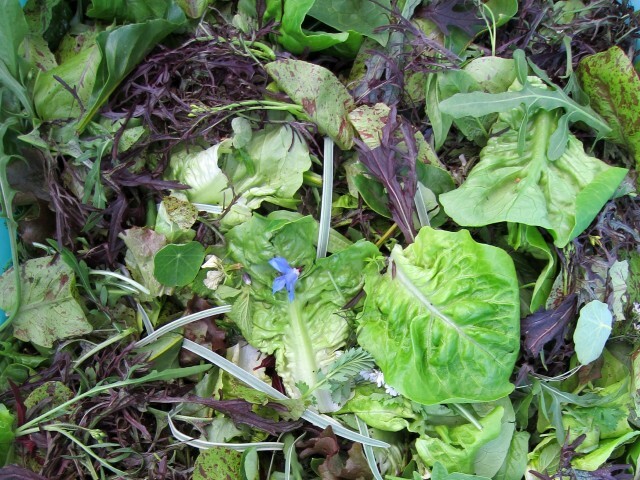 * Our salad mix is a carefully crafted blend of over 25 different tender greens, herbs, and edible flowers, and the makeup of the mix changes with the season. 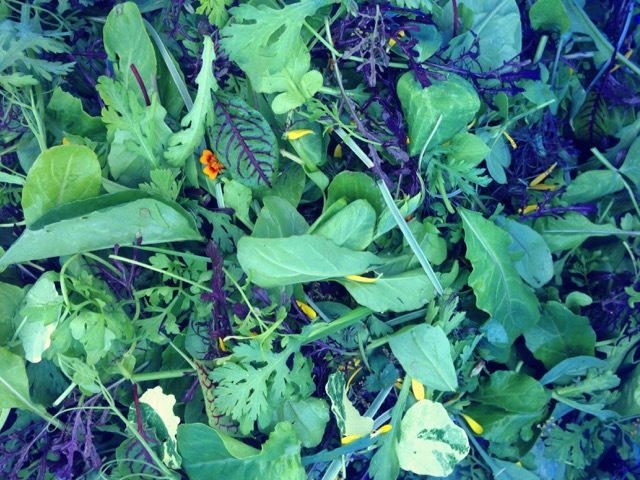 Featured in the mix this spring: miner’s lettuce, edible chrysanthemum, spicy mustards, and tangy sorrel. It’s slightly different each week, but it’s always a crowd pleaser. Dress lightly with olive oil, lemon juice and salt. We’ve spent some time in the past few weeks weighing options (and chatting with some of you!) 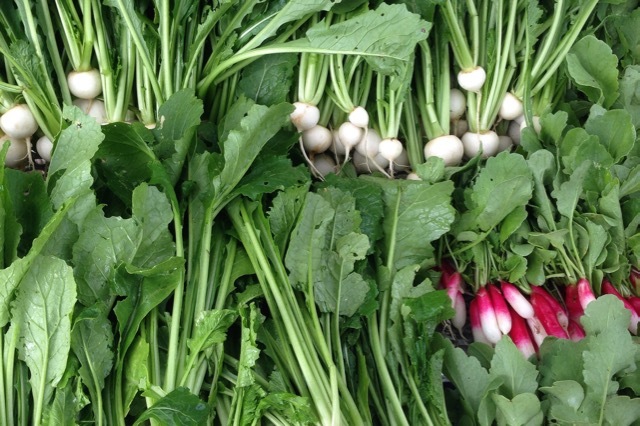 about how best to approach a CSA program this spring. Ultimately we’ve decided to continue on with the week-by-week program that’s already in place and is working well. While a committed membership for a set amount of time has its benefits (upfront payment in a lean time of year, consistency, familiarity, and streamlined communication), we are also excited to remain as accessible as possible to you, our community of customers. It’s important to us that you are able to join in and support the farm when you can, and to feel able to skip a week without hassle when you need to. It’s also helpful for us to be able to maintain flexibility in our availability, not needing to fret if we are offering the same box two weeks in a row. So what does this mean? For the duration of the spring, sign up for our email list, and watch out for our weekly emails! We’ve timed and coordinated a steady stream of salad, veggies and flowers (in different combination) for the rest of the spring, and we’ll continue to take email orders, first come first served, as we’ve been doing. The pickup day/time may occasionally vary from week to week, allowing more of you to participate throughout the season. We are excited to continue connecting with you all, and we look forward to nourishing you with farm fresh goods. 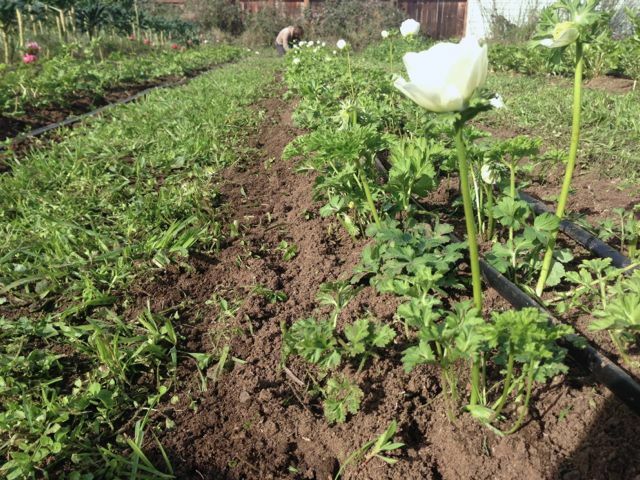 One season bleeds into the next here in San Francisco, so while fellow cold climate farmers are hunkering down for the winter, planning, resting, and ordering seeds, we’re already digging over here in with no time to spare. Spring CSA announcements and 2014 reflections to come soon, but until then, here are a few winter photos. As always, there’s always plenty look at over on our Instagram, too. Happy New Year everyone! We’re entering our sixth season. 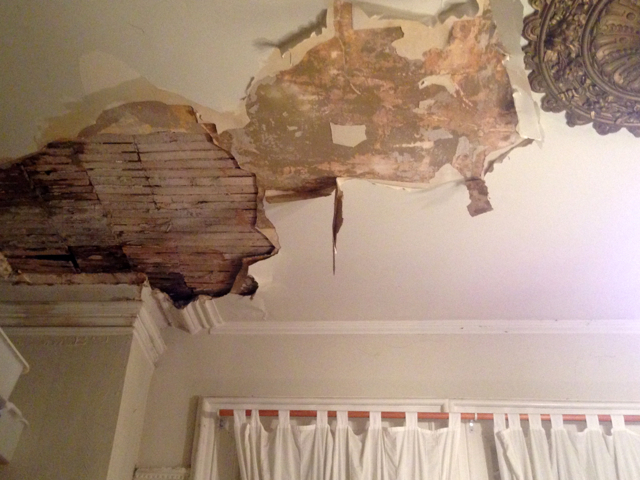 I’m going to interrupt farm news and winter updates with a personal announcement here: after some severe leaks in this past storm that lead to partial ceiling collapse, my housing situation has recently and suddenly become unstable. In maybe the toughest housing climate San Francisco has ever seen, I am looking for a new place to live. At first I debated posting this here, unsure of the relevance of this personal situation to the farm’s audience. But after some thought, and considering the original aims and questions of Little City Gardens, I realize that it couldn’t possibly be more relevant. 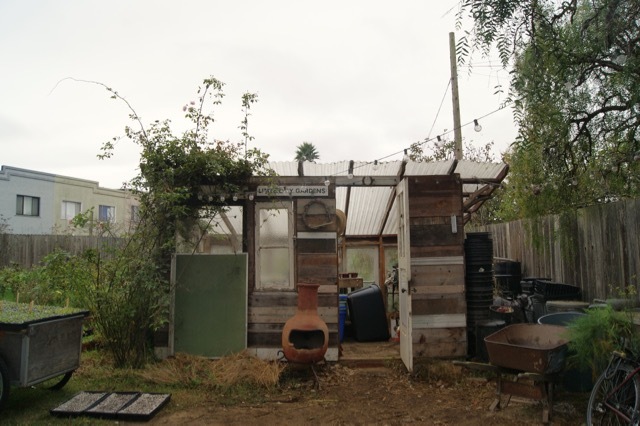 Can farming be financially viable in San Francisco? Can anyone make a living, or contribute to a living, from this work in this city? 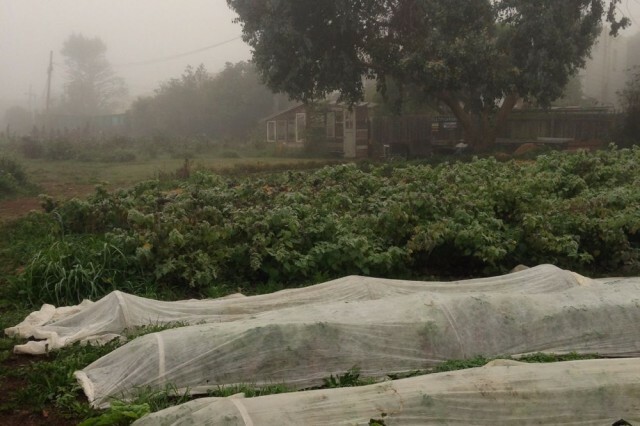 Can a working farm be a permanent, dynamic fixture in the city? My personal situation here sheds light on the intensely precarious context within which these questions are asked — the ongoing housing crisis and incredibly high cost of living in San Francisco. While I’m fortunate that my case doesn’t involve all-too-common eviction, or the often abused Ellis Act, I am nevertheless, like too many of my neighbors, finding myself suddenly thrust into the skyrocketing and inaccessible rental market, feeling scared, unequipped, and vulnerable. My work as a very modestly paid farmer, artist, and active community member suddenly has much less recognizable value when placed into the realm of the housing market. This reality, in the context of this urban farm project and ongoing dialogue, feels relevant and important to document here. My partner (a public school teacher here in SF) and I are spreading the word far and wide in hopes of finding something that hasn’t appeared on the heartbreaking Craigslist scene. While we are aware of the tenants’ rights that are on our side in this situation, and have met with the invaluable SF Tenants Union, the landlord hostility we’ve been met with, along with the slow and unclear repair timeline, renders this situation shaky and unsafe. San Franciscans, if you know of an apartment, a cottage, or an in-law unit that needs two creative, quiet, hard working, modestly living people to warm it up, please do be in touch. We’re looking and staying hopeful. Readers from afar, see more articles here and here for further reading about San Francisco’s housing climate, its far reaching implications, and some of the ongoing work surrounding it. UPDATE: We’ve moved and feel fortunate to be able to hang on in the city a bit longer. Thank you all for the encouragement and suggestions. We’ll also have both of these available for sale at the farm on Monday evening from 4-5:30pm (discount will apply). *Packages will be shipped priority. Depending on your location, we can’t necessarily guarantee packages will arrive before Christmas. But who doesn’t like a surprise bonus treat after the holiday festivities have quieted?! Thank you for supporting the farm this holiday season! Mark your calendars everyone! And join us at the farm for our first ever Winter Faire & Holiday Market! We’ll have a crackling fire in the chiminea, lights strung about, and hot tea and cocoa simmering all day. There will be scheduled farm tours and herb walks, kids’ activities, a puppet show, and music. 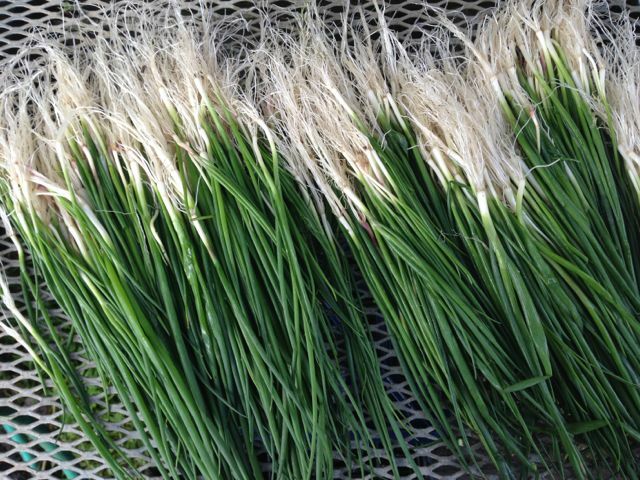 The paths will be mowed and tidy, rows of garlic and onions will be poking out of the straw mulch, and young spring flower crops will be sprouted in the front field, ready to head into winter. You can peruse tables filled with top notch Bay Area goods, perfect for all your holiday gift giving, and then sit on blankets by the fire in the low December light, enjoying some music and hot refreshments. It’s been a long, focused season at the farm, and we are very excited to open up the gate, pour mugs of hot cocoa, and mark the end of this year with all of you. Bob Short – wooden cutting boards and candle holders — made right next door to the farm! Nana Joes Granola – featuring her special blend in collaboration with Little City Gardens! Want to roam the farm and check out the crops? Curious about what we do, how things are going at the farm this year, and what we have in store for the coming season? Join Caitlyn for a brief 20 minute farm tour, with Q & A! 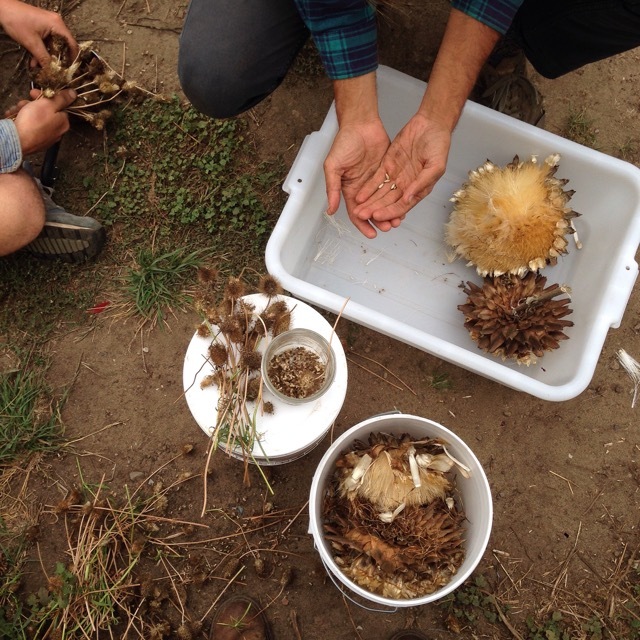 Bonnie Weaver, an herbalist and long time Little City Gardens volunteer, will lead a short walk through the farm, identifying common medicinals and highlighting their benefits and uses. 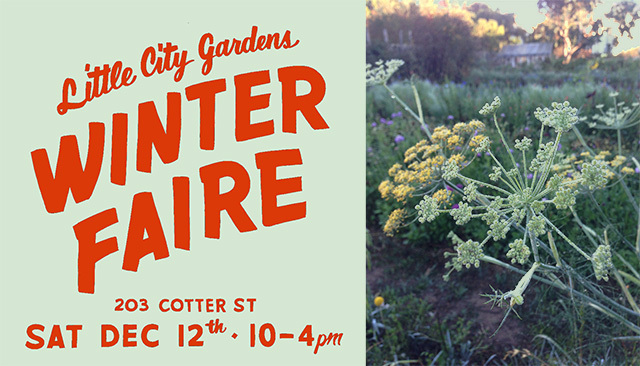 This is a great chance to learn about the plants that have gone into our Little City Gardens herbal salve, hand cream, and herbal mist — available at the faire. Preschool and Kindergarden teachers from Golden Bridges School will present a hand puppet rendition of The Elves and the Shoemaker! Don’t miss it. 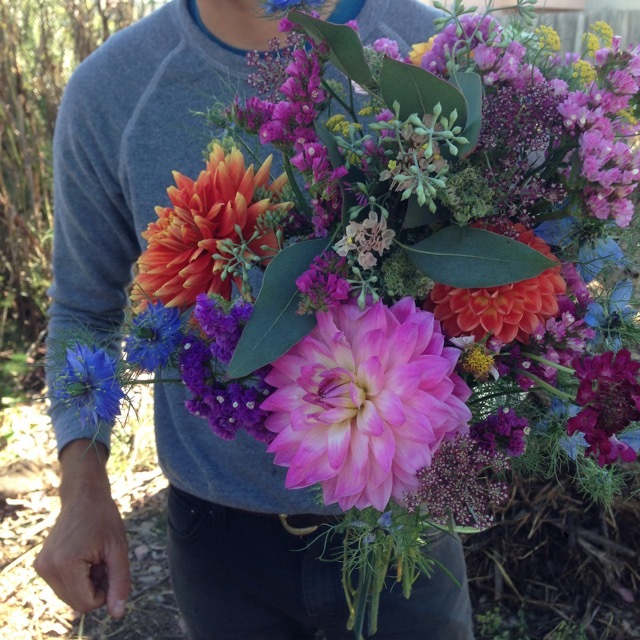 Enter for your chance to win a one month subscription to our flower & salad CSA coming this spring! Winning name will be drawn at the end of the day and announced on our website. **Please note: parking is limited in this residential area, so arrival by bicycle, MUNI (J-train to Santa Rosa Ave) or BART (Glen Park) is strongly encouraged when possible. Please respect our neighbors by not blocking driveways. See you there! UPDATE: salad mix has sold out! We will be making it available for the next couple weeks & for Christmas holiday feasts. Please sign up for our email list (link on the right) for weekly ordering info. And it is now available for Thanksgiving preorder, alongside a beautiful selection of other veggies and herbs from the farm. We’ve been working hard these past few months to diligently plan out, seed, weed, cover, and tend to these crops in perfect time for your special feasts! We will be honored to feed you and your families this holiday season. * If you’re new to the Little City Gardens salad mix, here’s what to expect: a diverse, wildcrafted blend including a dozen different varieties of tender greens, herbs, and edible flowers. It is a unique, lovingly crafted mix that is as flavorful as it is beautiful. Just dress it lightly with olive oil and salt and you have an impressive ready-made side dish to feed your family and friends. It’s long been our most popular item, and sells out quickly! We’re so excited to be crafting this mix again — we’ve missed it. Please email orders in by Sunday 11/23 at 9pm — littlecitygardens@gmail.com, subject THANKSGIVING ORDER. 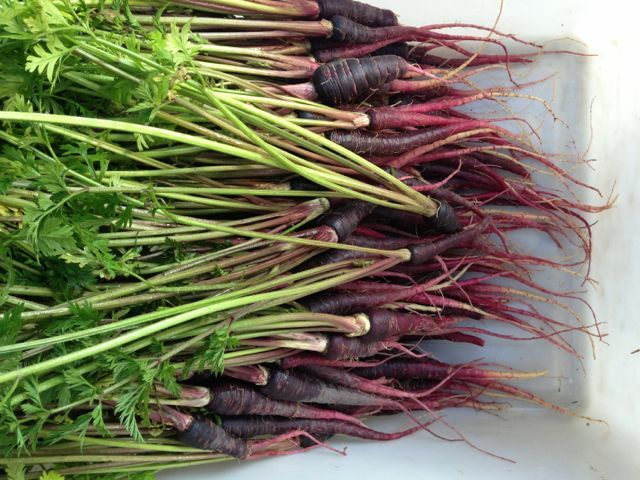 Pickup is Wednesday 11/26, 4-6pm — at the farm (203 Cotter St). 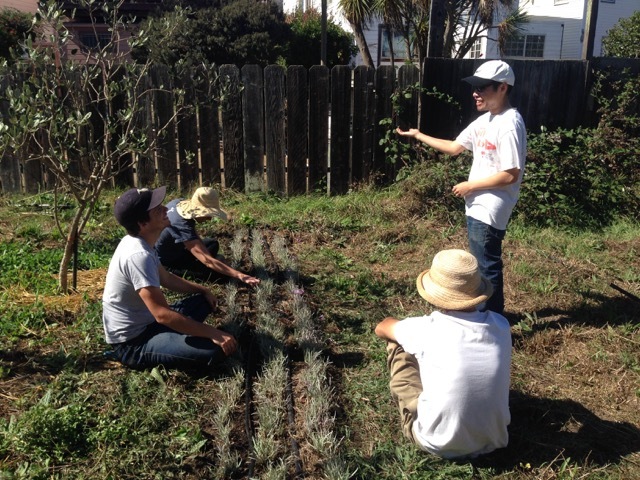 Thank you for your support and for putting our San Francisco grown veggies on your holiday tables!